This page is available for collectors to post specific items that they are looking for. If you would like to post a want ad, please email me with the exact text that you would like to have listed and I will post it. I am always interested in buying or trading for old HOF bats. Also, always interested in vintage Twins bats and HOF player bats. Looking for Mike Pagliarulo game used items. Especially Twins home jersey and Padres home and road jersey. Looking for HOF and Yankees game used bats from the 50's, 60's and 70's - Also looking to acquire Mattingly and Boggs ( Yankees Bats only ) with heavy use. Interested in purchasing Vintage Game Used Bats from the 1920's & 30's. Looking for Lefty O'Doul; Riggs Stephenson; Hal Chase; Jake Daubert; Frank Frisch; George Davis; to name a few. Tony Perez, Davey Concepcion, Cesar Geronimo, George Foster, Ken Griffey Sr., Dan Driessen, Darrel Chaney, Merv Rettenmund, Doug Flynn, etc. I am looking for game used bats and jerseys of these players: Chico Carrasquel, Luis Aparicio, Elio Chacon, Cesar Gutierrez, Cesar Tovar, Gus Gil, Jose Herrera, Remy(Angel) Hermoso, Ossie Blanco, Damaso Blanco, Roberto Rodriquez, Angel Bravo, Gonzalo Marquez, Dave Concepcion, Bo Diaz, Enzo Hernandez, Ray Monzant, Yo-yo Davalillo and Alex Carrasquel. Any Information, please email me. UFTMAN@aol.com Looking for Brooklyn Dodger bat. Looking especially for bats from Billy Cox, Jim Gilliam, Sandy Amoros, Rube Walker, Etc. Henderson, Dietz, Speier, Ed Goodson. 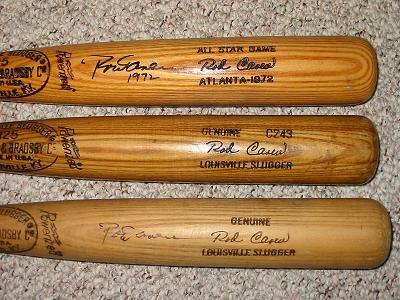 Also looking for a very early Jack Clark bat. Looking for a game used and un cracked Bill Madlock bat. Seeking Cal Ripken Jr. game used bats. Looking for bats from all stages of Cal's career including minor leagues. Interested in bats with heavy use primarily. Also seeking Mark McGwire game used bats Cardinals preferred but will look at A's as well. layers equipment and bats, and pitchers bats. Buying 40k Kork Grip bats, Vintage Game and Store model bats of Hall of Famers. I'm especially interested in bats of Wagner, Joe Jackson, Babe Ruth, Lou Gehrig and Ty Cobb.  Jamie Schultz jlschultz180@wi.rr.com Wanted: Milwaukee Braves and Brewers game used bats. Especially need bats from the M. Braves team from 1957-1958 and Brewers bats from 1979-1983. Looking for Orioles game used bats from Dave Skaggs, Billy Smith, Todd Cruz, Dave May, Terry Crowley and Tom Shopay. Must be from their years with the Orioles. Looking for: Reggie Jackson A's Adirondack. 1971 - 1975, Mark McGwire A's Adirondack 1987 - 1989, Boston Red Sox Bicentennial Bats any players. skyking442@hotmail.com 30+ year collector always looking for bats from Dave Kingman, Mark McGwire, Jim Thome (Phillies), Adam Dunn, Joe Mauer, Jayson Werth, and members of the '35/45/68/84 Detroit Tigers. I prefer any bat to be uncracked with good use. Looking to buy any and all game-used bats and equipment of past and current Japanese players who played in MLB,especially (but not limited to) Ichiro Suzuki, Hideki Matsui, Hideo Nomo, Sadaharu Oh and Daisuke Matsuzaka. I am also willing to assist others if they have any questions regarding Japanese players' game used equipment.